Though there may be some vocal opponents of the entire vaccine enterprise, modern medical science is set on the fact that inoculations and other injections to protect children from infectious diseases are tools to use against the ever-increasing microbial threat to kids’ developing immune systems. With the power to fight everything from polio to these common back-to-school infections, vaccines need to be an essential part of your children’s journey back to the halls of learning this fall. Some schools might require updated medical forms for sports teams, while others just won’t let your children attend if their vaccines aren’t up to snuff. However, there’s no need to wait for hours by the phone for your primary care physician to call you back or rush straight into the long lines at the emergency room. With a list of your school’s requirements, you can get your kids protected in a fraction of the time at a CareWell urgent care center. Vaccines.gov, a site run by the U.S. Department of Health and Human Services, explained that herd immunity refers to the way in which vaccines protect even those for whom the medicine does not work. While science has come pretty far, some individuals’ bodies just don’t react as intended. When a sizeable portion of the population refuses to make itself virtually immune, it lets illnesses spread through the community relatively unchecked, potentially infecting the most vulnerable members. What many people don’t understand about vaccines is that they’re for more than just the patient in question. If your children have never been exposed to certain bacteria and viruses before, it’s obviously a good idea to get them covered in the chance that they contract the germs. However, something opponents of vaccines forget is the concept of herd immunity. However, when a population has enough immunized individuals, the disease has fewer hosts to jump from. By sheer strength in numbers, kids who have no other immunological defense from infectious illnesses are protected. A quick shot is all your kids need for year-long protection at school. Which vaccines are common for school children? Seasonal flu vaccine: This might be something even adults should stay regularly vaccinated for, but kids going back to school are at a higher risk of catching diseases. While most schools try to enforce good hygiene, there’s always the chance that somebody forgets to wash his or her hands and your child gets sick. With the right vaccine, not only might the illness be mild at best, but your kid might be totally immune. 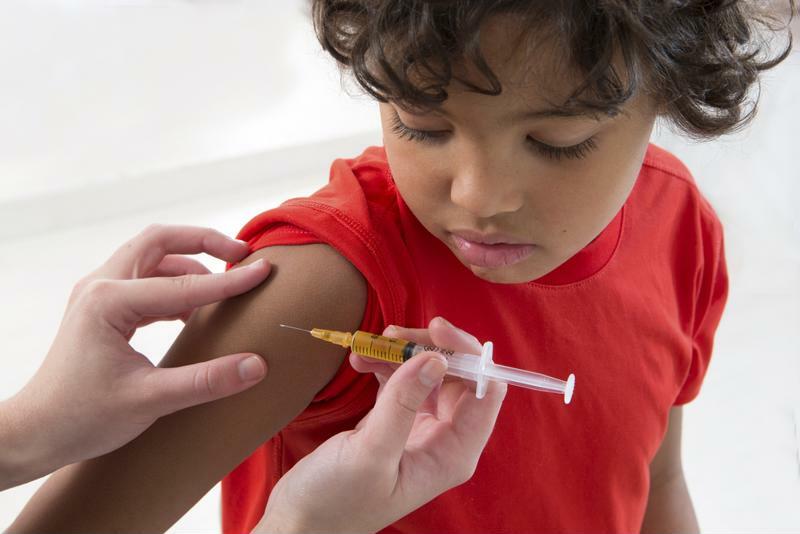 Meningococcal vaccines: As the saying goes, big things come in small packages, and one of the deadliest of infectious diseases that vaccines protect against are those affecting the brain. When cerebral tissue is in danger of swelling and unsteady blood flow, the risk of permanent damage is very high. Pertussis vaccine: More commonly known by the name “whooping cough,” this infectious disease isn’t life-threatening, but it will sideline your kid for a week or two for sure. Characterized by a persistent low and rough cough, this disease spreads fast once it’s first found.